The Chesil Rectory is a unique, historic, grade II listed restaurant located in central Winchester. Decorated with vintage chandeliers and beautiful botanical prints, our intimate dining rooms are relaxed, peaceful and brimming with authentic charm. Perfect for lunch with friends and a romantic dinner, a light weekday supper, business lunches or Sunday roast. Head Chef, Damian Brown, uses an abundance of seasonal, local produce from our Hampshire doorstep to create delicious menus featuring classic dishes brought up to date with a twist. Fresh, local, delicious. Car parking available in long stay multi-story car park, a one minute walk away. A very pleasant experience - food was delicious, service excellent. We didn't feel rushed and were able to enjoy the surroundings and foo at our leisure. The puddings were particularly good. We had a fantastic evening, excellent food and drinks with a first class service. Been here several times now. Perfect every time. 45 mile drive to get there but do worth it. No complaints about tasting menu - it was good. Matching wines ok, first one good, others less so. What I did object to was arriving at 9 having prebooked tasting menu, table not ready, dumped upstairs for half an hour near a very noisy wedding party, normal menu handed to us when we’d already chosen. A drink was offered after 10minutes but we didn’t want one, having had an aperitif elsewhere with friends. No real apology. It did get better once we were seated downstairs. Great food. Seafood starters, pink lamb main, cheesecake then cheese and biscuits with recommended wine choices. Absolutely first class. We booked this up months ago for my wife's birthday and it was really worth the drive from Essex. 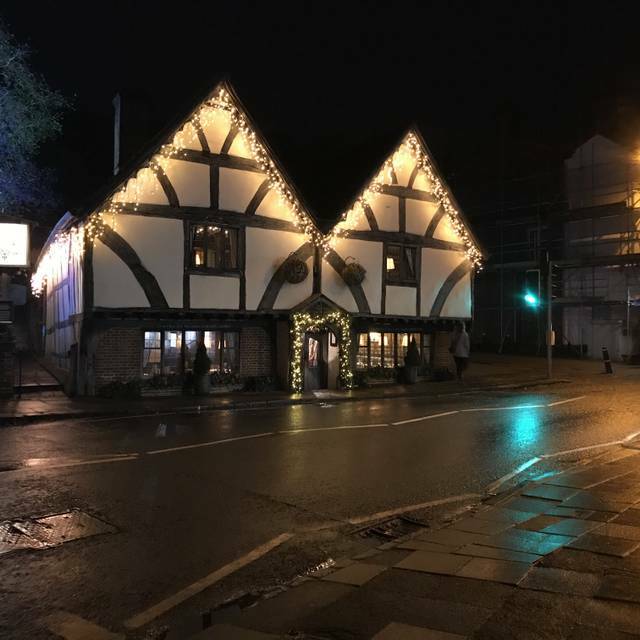 We booked for dinner for our first time to Winchester and so very glad we did. The building was gorgeous and we were very happy, tucked away in a small room (4 tables only) to the left of the front door. The discovery of a lovely bar and lounge upstairs when visiting the loo was a nice surprise addition too. The staff were attentive, chatty and bright. 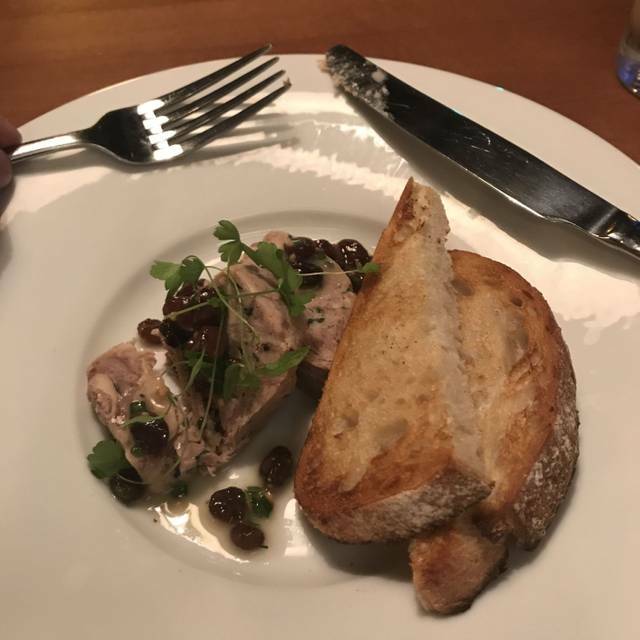 They had a small, new menu and we were delighted with the results - I'd much rather have a small menu done incredibly well than a sprawling one which might not deliver. The food was sublime - I'd happily eat it all again! You're looking at prices more familiar in London, but for a treat night out it was totally worth it! The food was delicious, the atmosphere very nice. Staff was very friendly, but not very well informed about the menu and maybe not very well trained. Still, we enjoyed our dinner very much. We had a lovely meal and a gracious reception on arrival. Young waiter was polite if a little inexperienced. My only tiny criticism would be that one guest’s coffee was delivered tepid (but was removed from bill without quibbling). 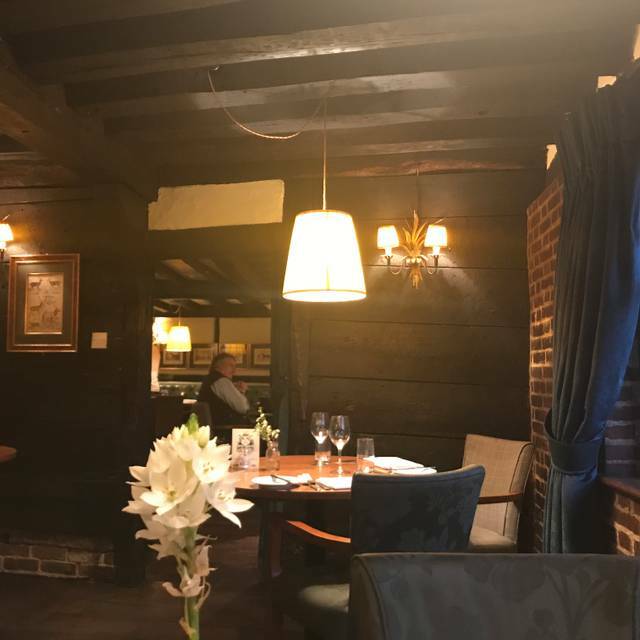 The food was excellent, the wine good, the ambience was quiet and welcoming, the seating comfortable...I would highly recommend to anyone looking for a super meal in civilised surroundings. 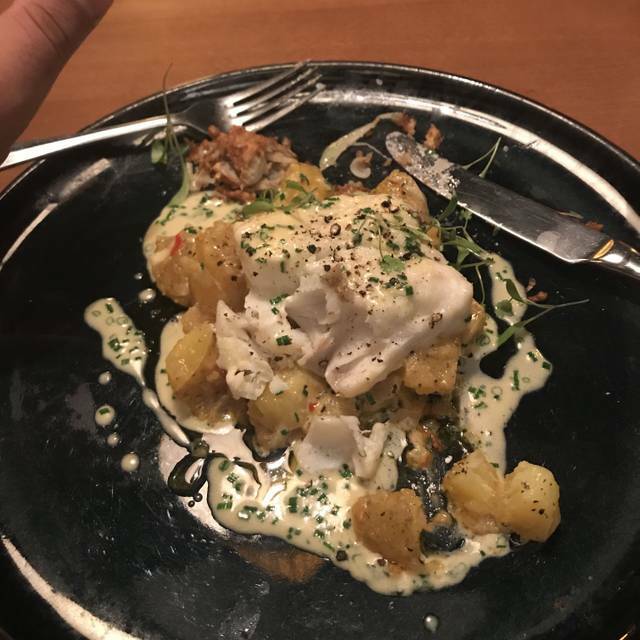 The best plaice I have had anywhere. Certainly a good option in Winchester and one I will go to again (this was my first visit). My wife and I were staying in a home nearby and found the Chesil Rectory reading reviews for nearby pubs and restaurants. 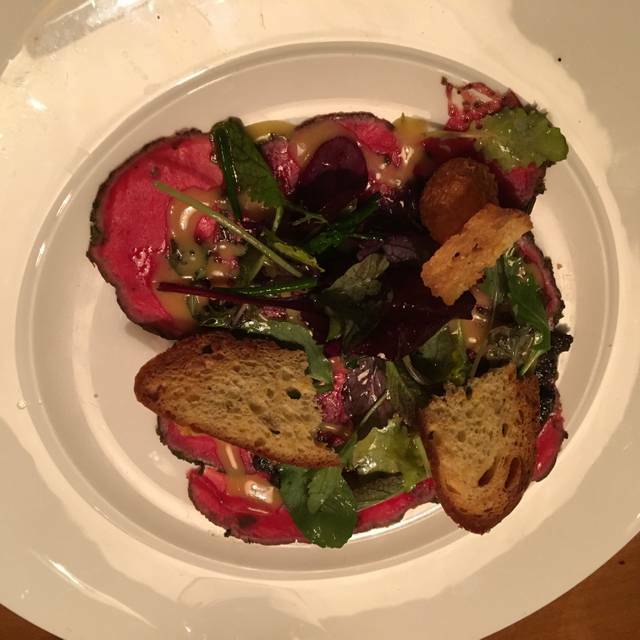 It rated very well and everyone commented very favourably on the food. We agree with everything we read. 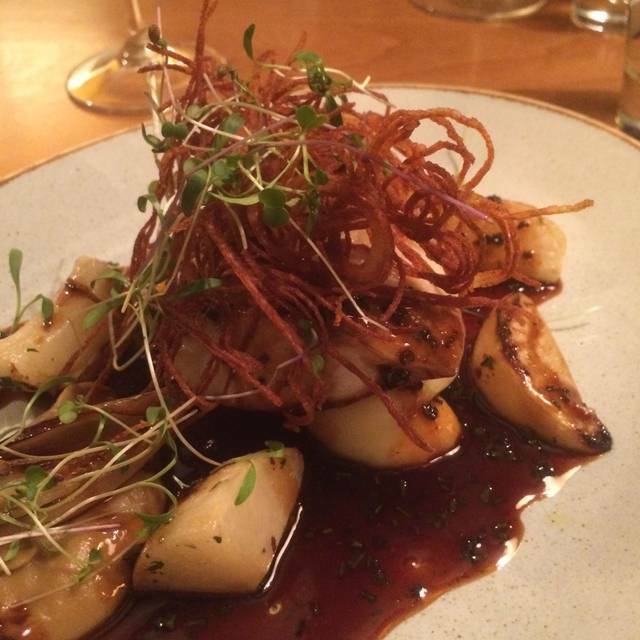 The quality of the food was above our expectations and we thoroughly enjoyed our evening. We came to the conclusion that there is a chef present who really enjoys and takes passion in his craft. If you are coming through the area and have time available to sit and enjoy it is well worth the visit. All courses were delicious, mine were Sea Bream, then Lamb, then Elderflower Jelly. Many compliments to the chef as all the tastes were beautifully balanced. Everyone at the table enjoyed their meal a lot. We enjoyed the bottle of very nice red wine from their private cellar (substitution) as the one we asked for as the wine we wanted was not available. Service was just right-attentive and not intrusive. Our end table had just the right degree of privacy whilst also being able to be part of and enjoy the relaxed and friendly ambience. Thank you for a very nice evening and we will look forward to a return visit. Great food, good service, reasonably prices, beautiful setting. 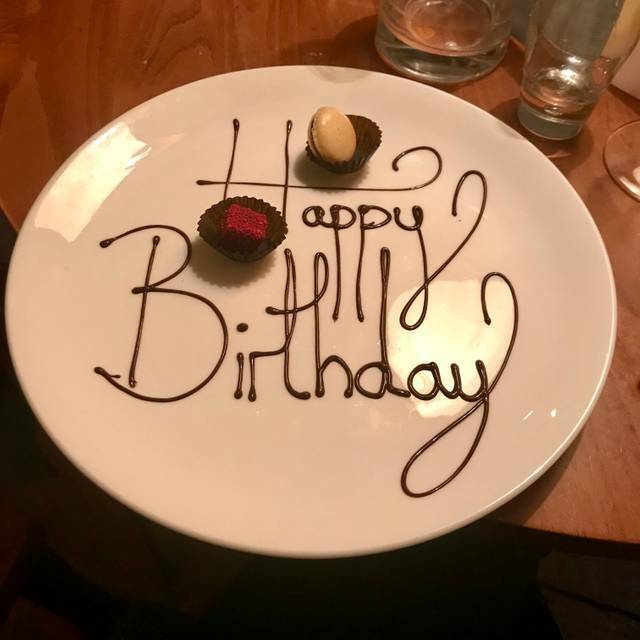 Front of house isn’t particular inviting and they didn’t mention it was our anniversary despite putting it in the booking which is a shame as plenty of other restaurants go that extra mile to make your experience bespoke but would go back again. The food was amazing, and so was the atmosphere. Our meal was a gift for services rendered and what a memorable occasion it was, this being our first visit, I hope of many. The waiters were excellent hosts making us feel very welcome and enthusiastically sharing their passion for food and wine by providing an informative description of our choices. We particularly enjoyed the sea food main courses of plaice and sea bass and we departed already planning the next visit and showing the menu to friends and colleagues. Great meal great ambience good wine choice. Really friendly place. Happily recommend just know it’s not gonna be cheap but worth it. The lamb was amazing the tart fine pastry could have been different more tart like instead of really thin, but tasted lovely. This is a very nice restaurant with great food and great drinks. The staff are all friendly, polite, professional and efficient. 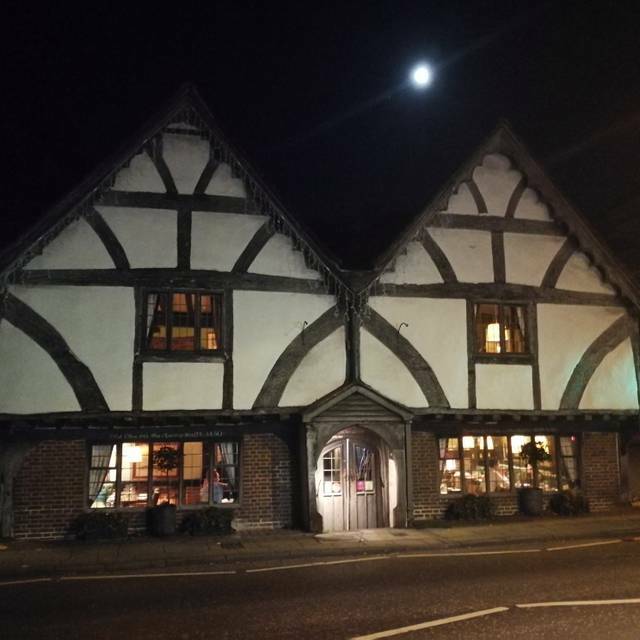 The building is over 500 years old which adds authenticity but the only downside is that on a very hot summer evening it is quite warm inside. However that did not detract from the ambience and all of the other positives this restaurant has to offer. I would highly recommend a visit if you are looking for a lovely meal and excellent service. I have been to the Chesil Rectory several times and have never been disappointed with the service. The food is always exquisite and it has a warm and welcoming atmosphere to match. I would definitely recommend to a friend. Can't wait for my next visit! Visited for a friend’s retirement and my hubbys birthday. Food was beautiful, service was attentive. We really enjoyed our evening. 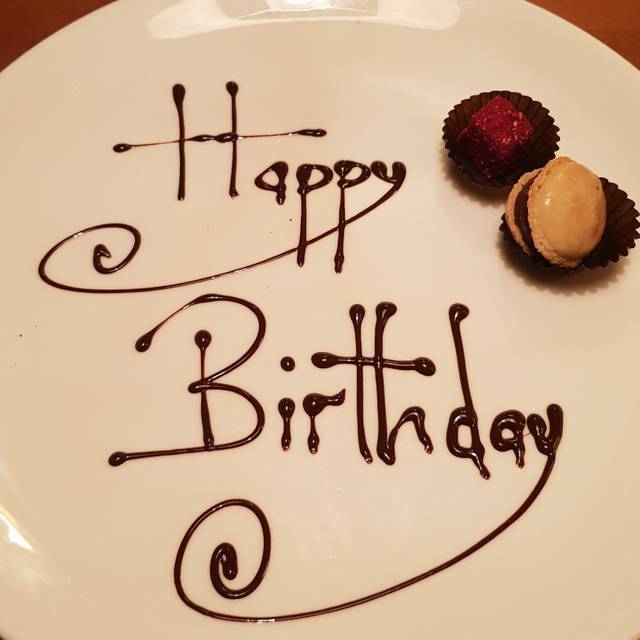 We had an excellent meal to celebrate our daughter's birthday. Lovely food. Attentive but not intrusive service. Sommelier's recommendation for an Italian summer red was a really good find. Very nice food, good service and a lovely building. Very enjoyable meal at the Chesil Rectory this week. Staff were attentive, food hot and tasty. Felt that prices were very reasonable for quality and quantity versus other establishments in winchester. The Chesil Rectory is my favorite restaurant in Winchester. I don't go there very often but when I do it's always amazing. The early evening menu is very good value for money and the food is delicious. Excellent food thank you. Great food good ambiance. One downside was that the drinks area when you went in was slightly disorganised but other than that very good. We came along for our 3rd wedding anniversary. We have never been before and have heard positive reviews. We were not disappointed. |Outstanding food and good value for money. A nice atmosphere and an amazing menu who leave us wanting to come back! It was an extremely warm evening but the food was delicious. Still having difficulty in having to accept 'chilled' red wine but, to be fair, it soon warmed up! Staff were friendly, courteous and efficient. We had the tasting menu, with matched wines, and it was sublime. Perfect size portions so we felt comfortably full, with the advantage of trying some dishes we may not normally have chosen. The wine pairings were perfect, enjoyed every thing about the menus - would thoroughly recommend. Had a great evening celebrating our son passing his professional exams. The cocktails were great as was the food & service. One of the best meals out we have had out in a while.